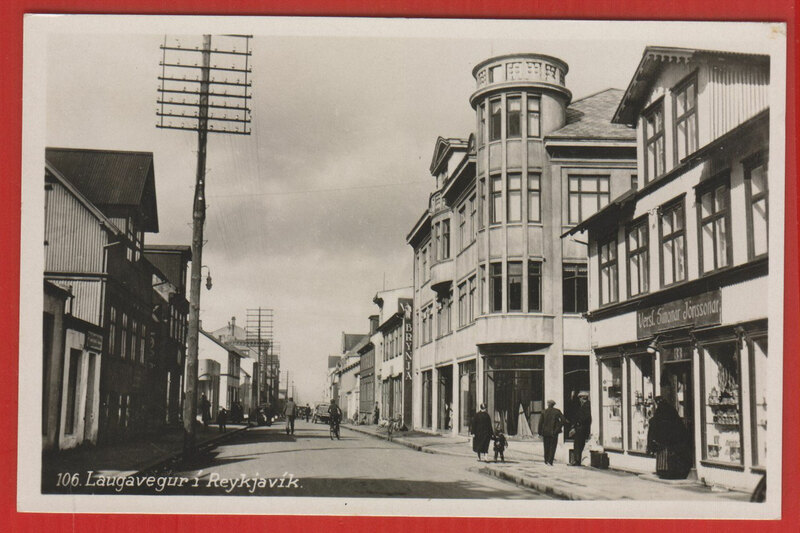 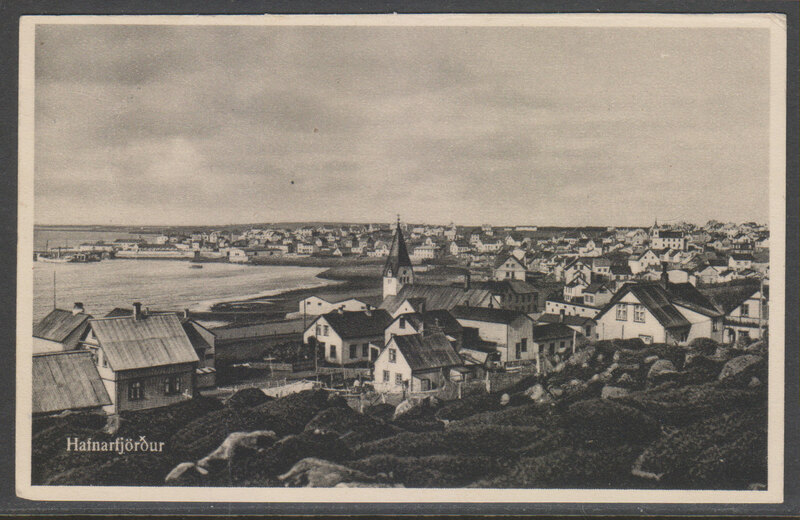 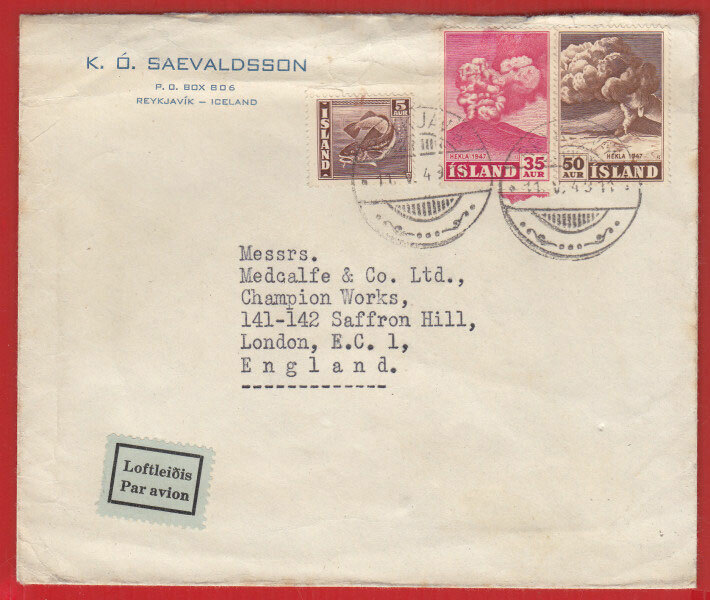 ICELAND POSTAL HISTORY & POSTCARDS - maidstonestampemporiums jimdo page! 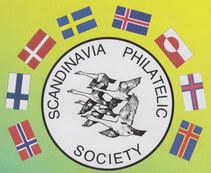 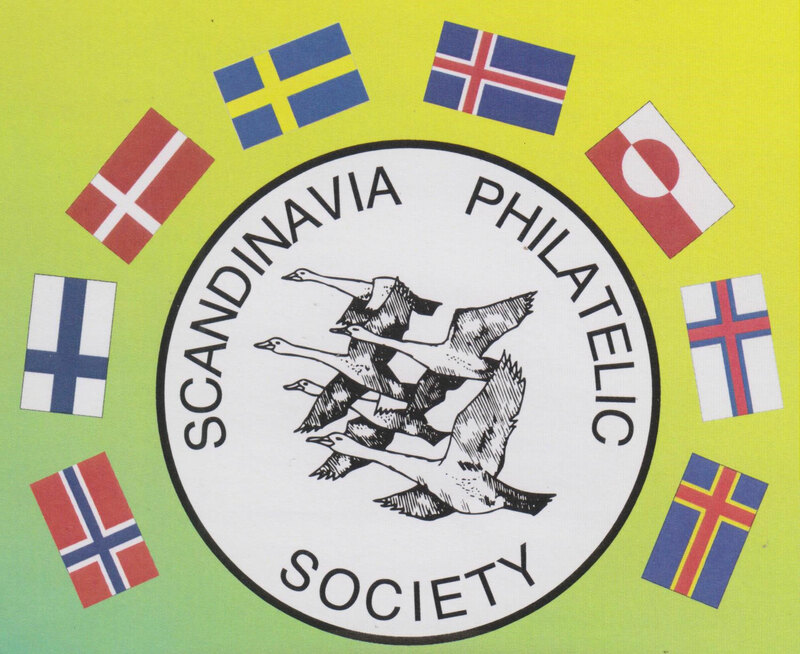 If you collect any of the Scandinavian countries why not visit their web site www.scandps.org.uk and find out all about them and what they can offer. 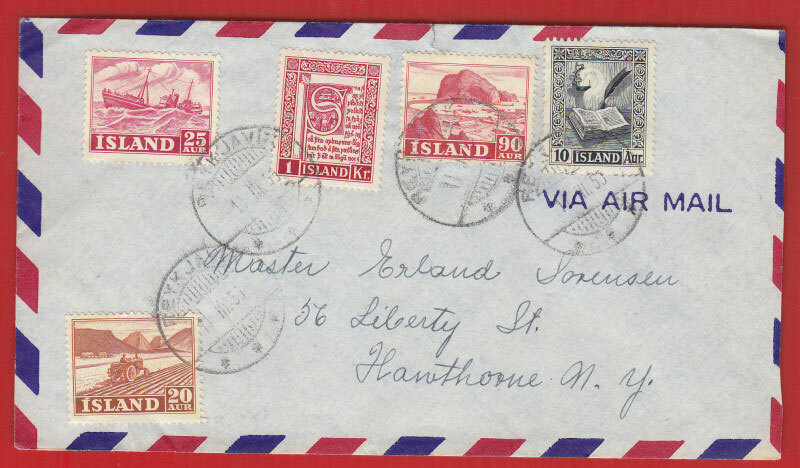 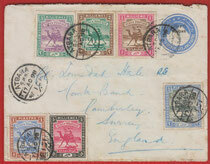 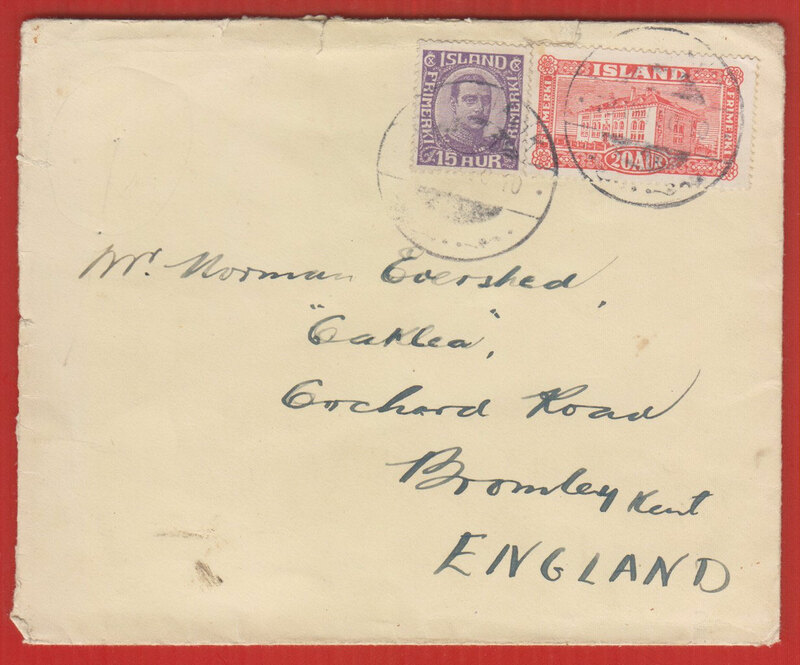 Ic PH 1 Cover from Reykjavik to England with a 1920 15aur King Christian X and a 1925 20aur Views stamps, posted 18th August 1930. 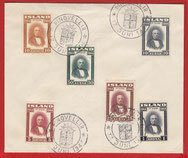 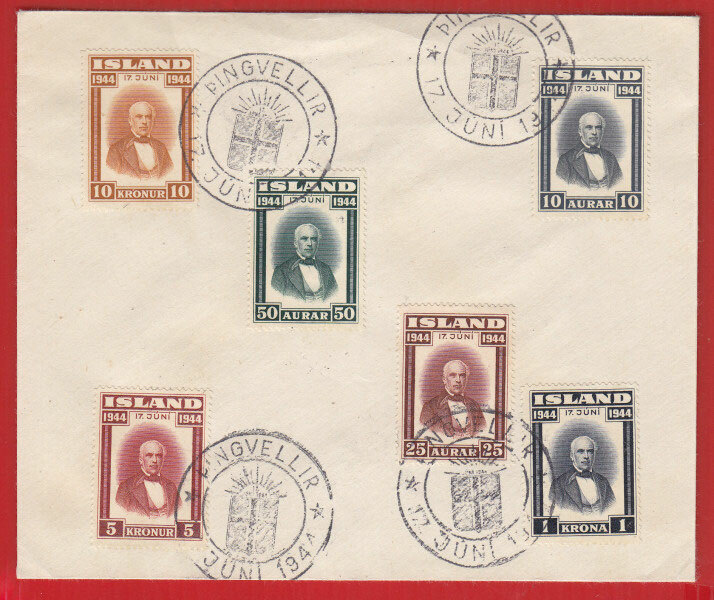 IcPH 2 Mint postcard depicting King Christian IX on Icelandic stamps. 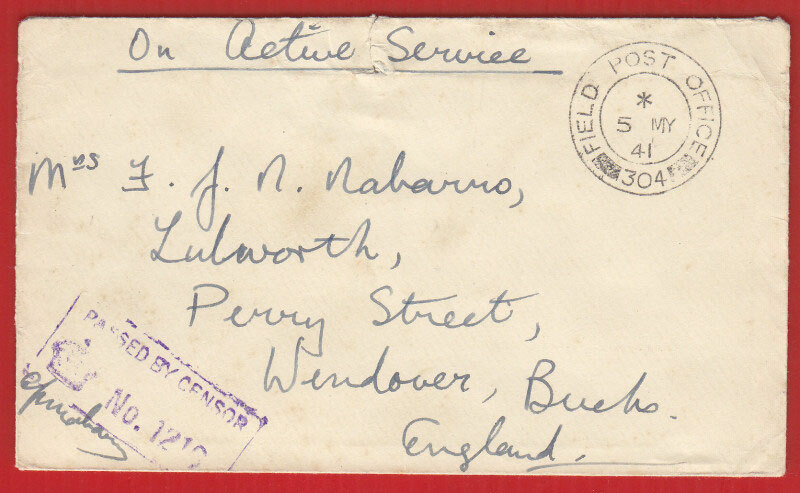 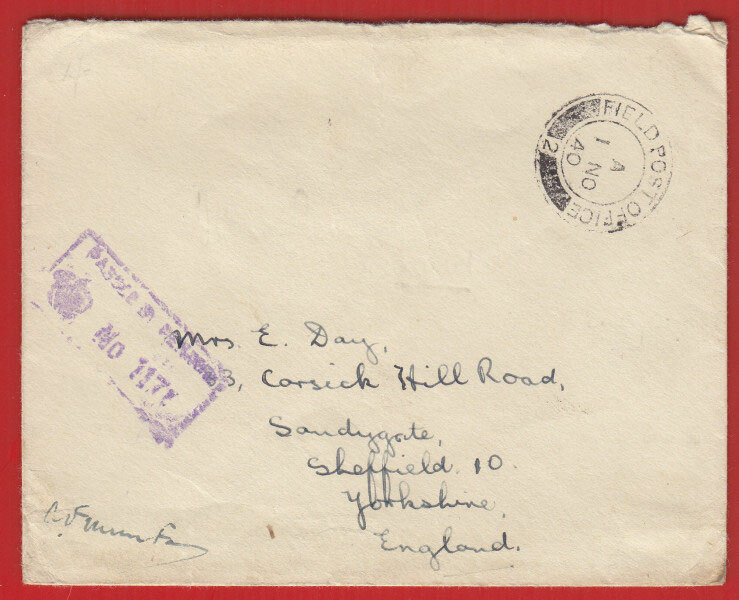 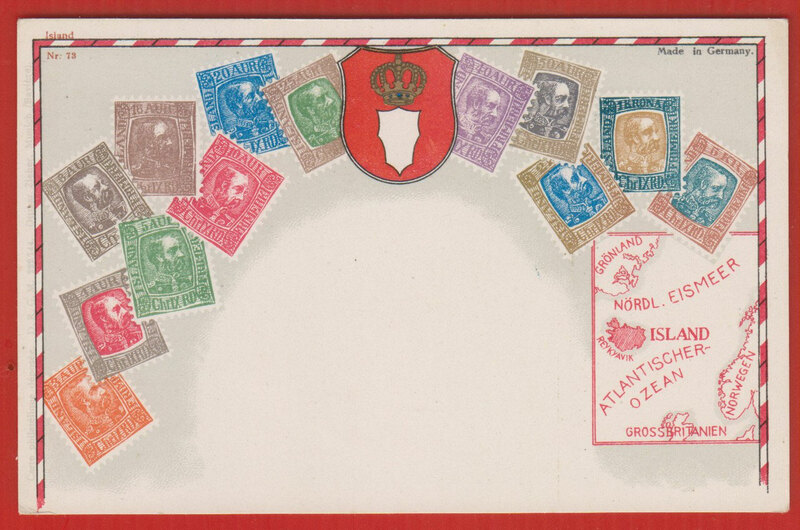 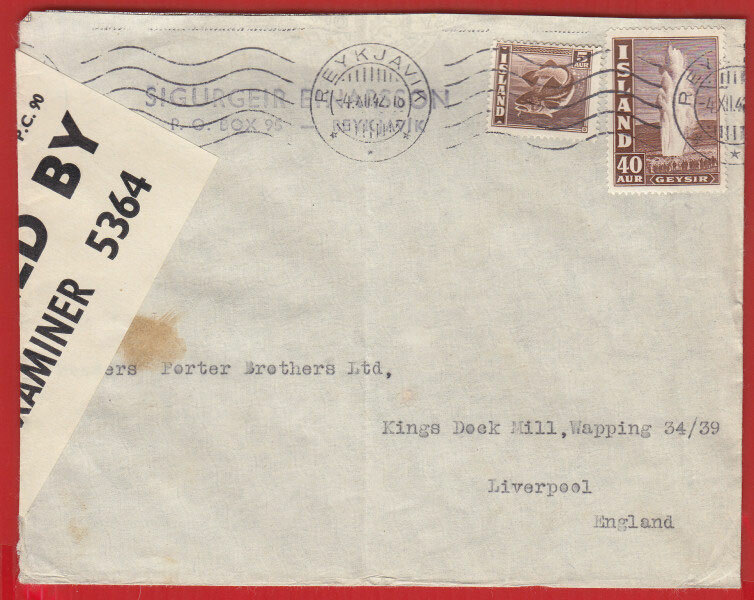 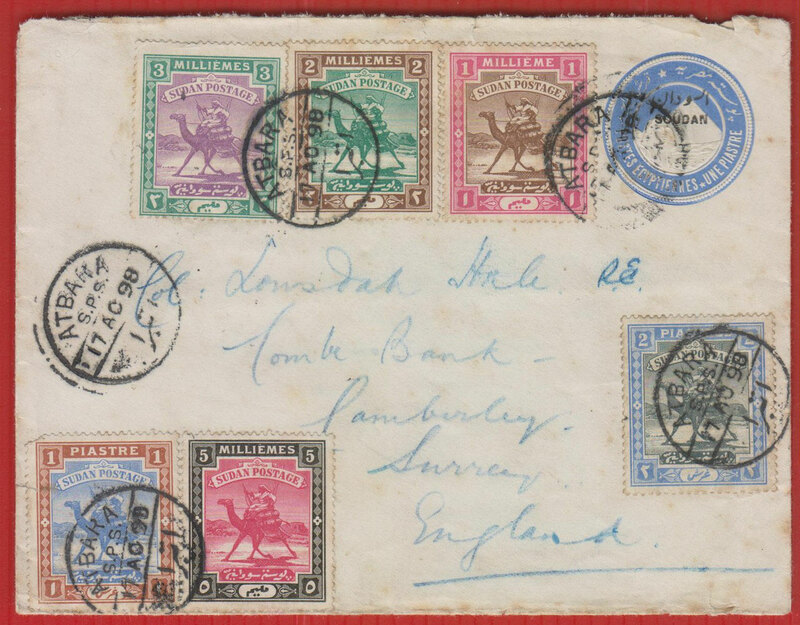 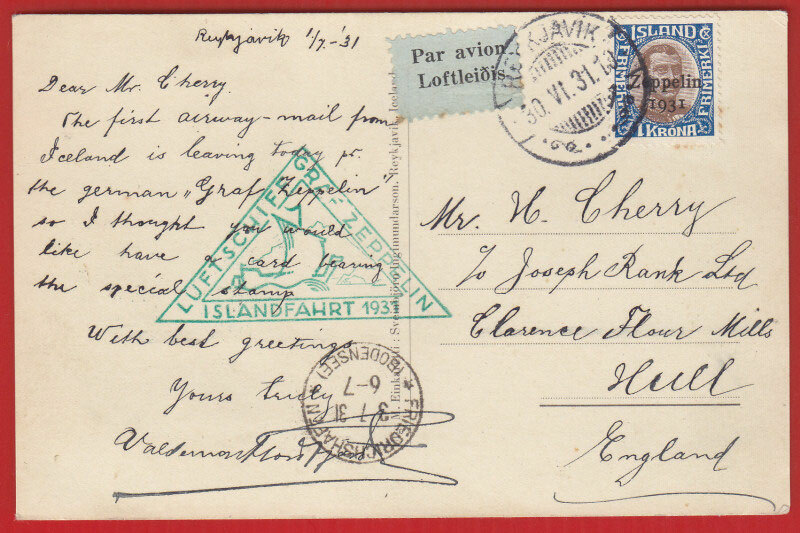 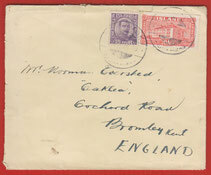 IcPH 6 Graf Zeppelin cover Reykjavik to Nancy, back stamped for Friedrichshaffen and Nancy, appears slightly faded. 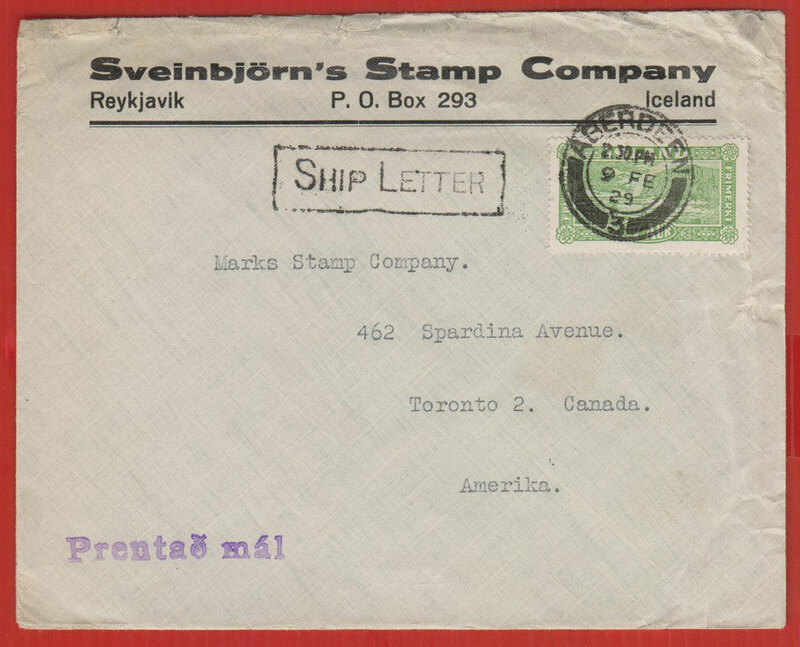 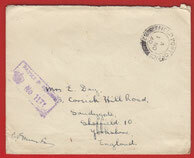 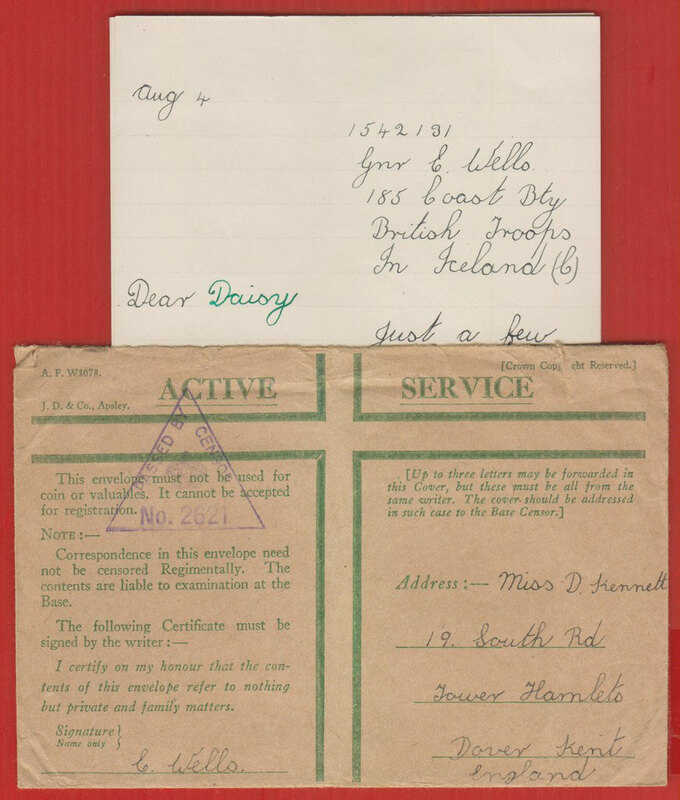 IcPH 10 WWII privilege envelope with censor mark number 2621 from Iceland, with content. 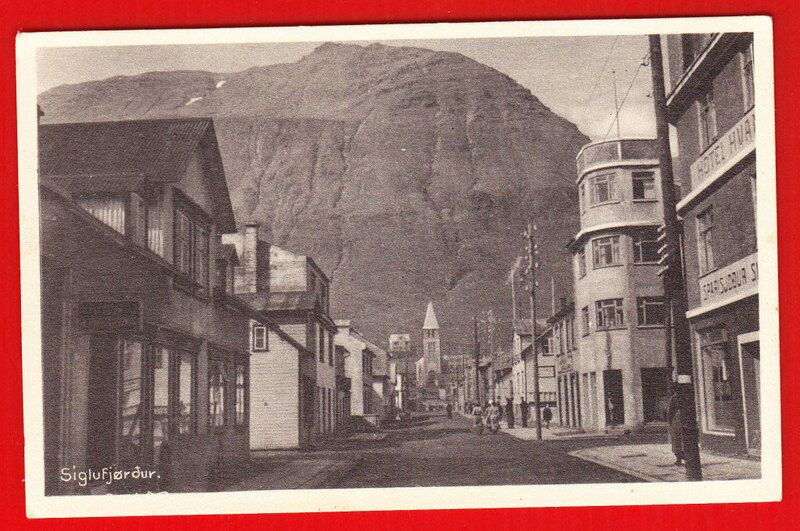 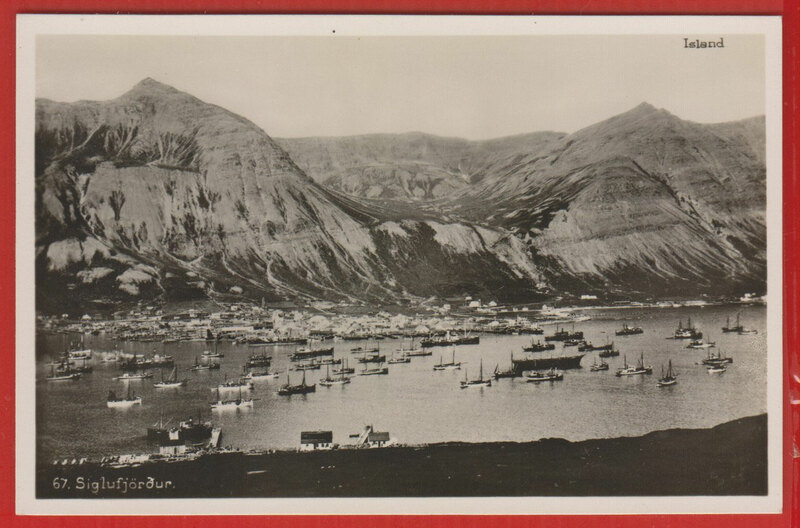 IcPH 12 A real photographic card of Siglufjörður, Iceland, unused. 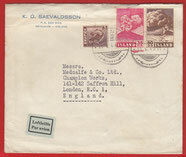 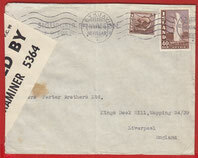 IcPH 16 Iceland WWII envelope with R.A.F. 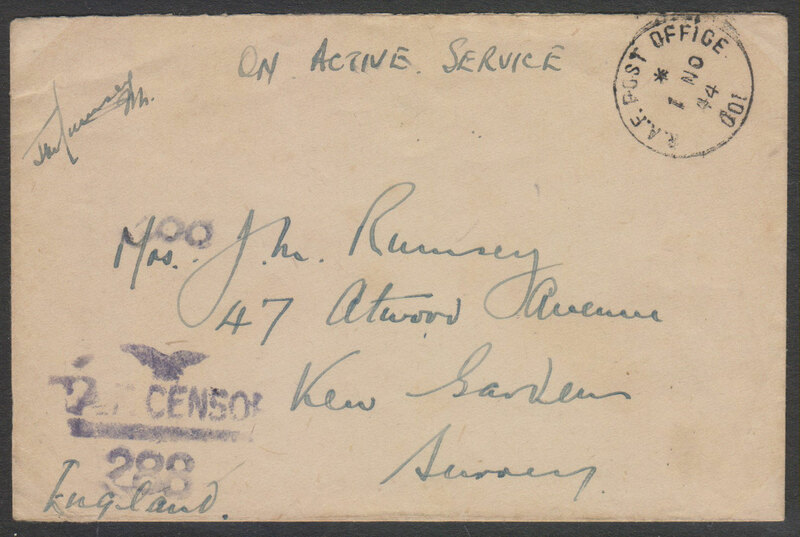 POST OFFICE 001 cancel used at Camp Winston, and has the R.A.F. 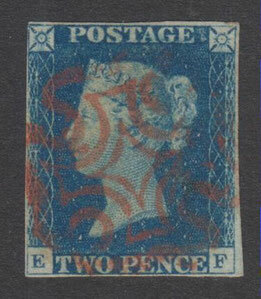 censor mark 288. 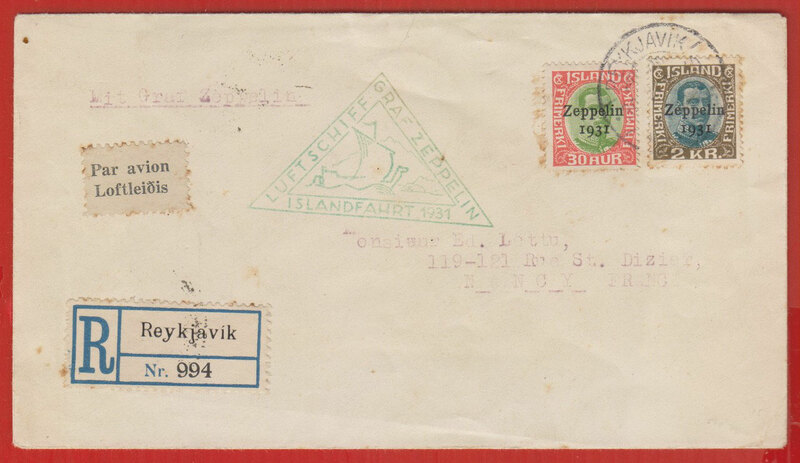 IcPH 18 A postcard addressed to France, of people cutting ice on the Thorn at Reykjavik, it has the stamp on the front with the corner folded over the edge. 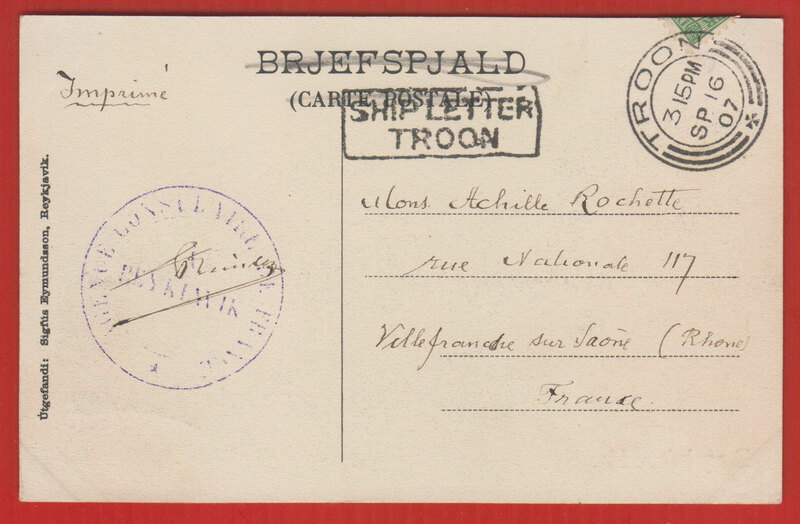 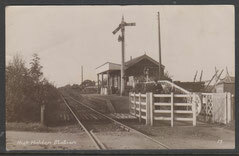 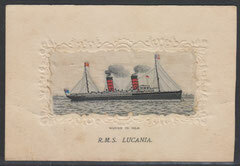 As shown it has a very clear Troon ship letter and Troon receiving mark dated September 16th 1907.